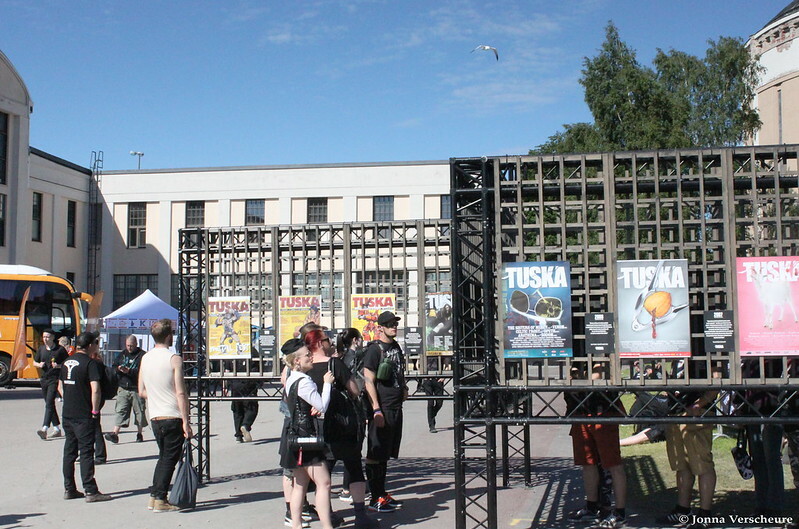 Last year we got to visit Tuska Open Air for the first time. 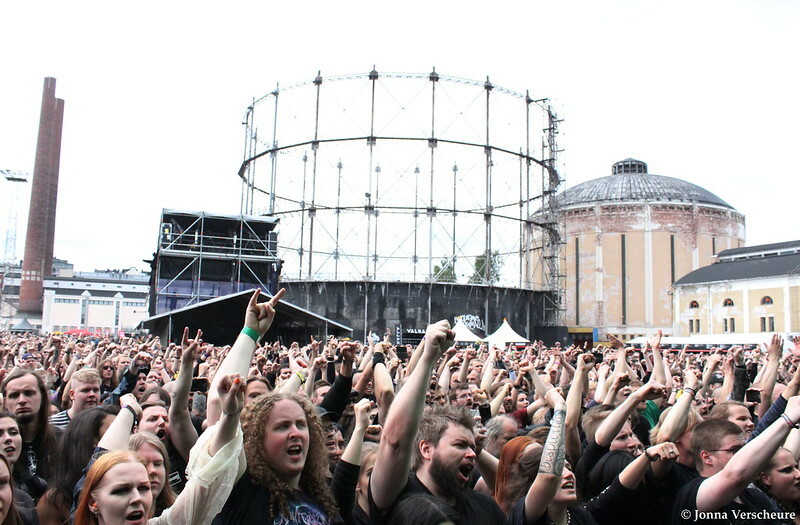 The event is the biggest metal festival in THE country of metal: Finland. Taking place at a former energy plant turned event area called Suvilahti in Helsinki, at the end of June/beginning of July the amps get plugged in and turned to 11 for one of the coolest metal and rock gatherings there are. 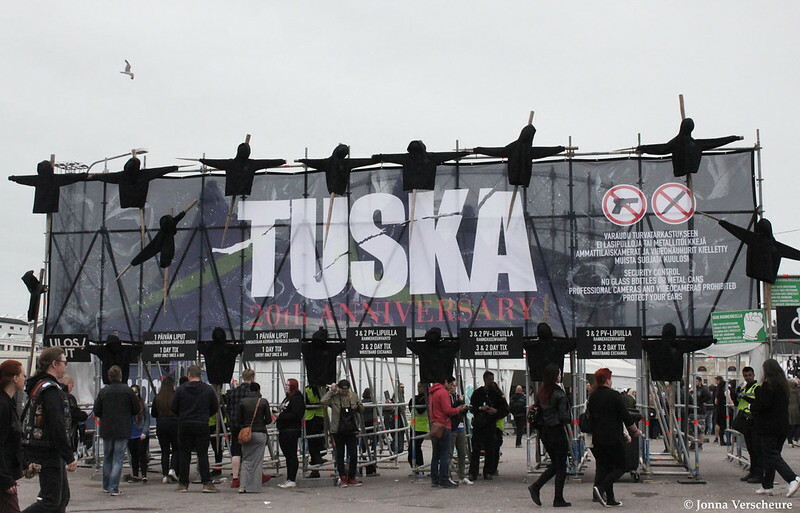 This year things were even more special since it was Tuska’s 20th anniversary. So we geared up for what promised to be one of the biggest celebrations of the year! For this celebrative edition of Tuska the organisation of course had to do a bunch of special things. They brought us yet another impressive list of high quality artist from domestic and foreign soil with about a 50/50 ratio. Which is a first thing I want to congratulate the festival with: they never forget to honor the bands from the home country, whether they’re big and famous or small and upcoming, they all are welcome on the Tuska grounds. Besides, for this anniversary edition they didn’t seem to have gone for the really big names but rather for a bigger amount of names with an impressive quality or even a certain exclusiveness. They stuck to the same recipe as before and just put in more effort in the things surrounding the festival, upgrading the overall experience. Before the festival actually took place, a few rather cool things happened. One of the most eyecatching things was the creation of the “Tuska Song”. 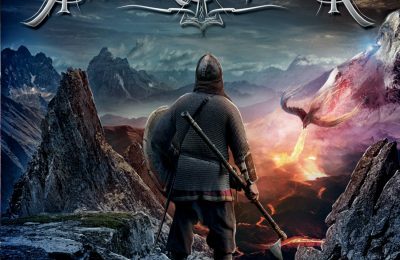 A 10 minute long epic track showcasing the best that the Finnish metal scene has to offer, created and recorded by a fine selection of artist from a whole range of different bands. The track itself was available for purchase digitally and physically and all the proceeds were going to a good cause to be determent by a board of people from the music scene afterwards. What a great way to show that metalheads are some of the nicest people around! Besides this, you could go and check out a photo gallery at an art gallery with pictures of a whole bunch of artists with as the focus Ville Vaalo and HIM, that announced to call it quits after a last tour this year. The shots were all taken by the well-respected Finnish photographer… and were all up for sale. And of course there were a bunch of products ready for you to purchase, special for the anniversary like Tuska jewelry, a book gathering pictures and stories from fans and bands from the 20 year history and some special edition shirts.